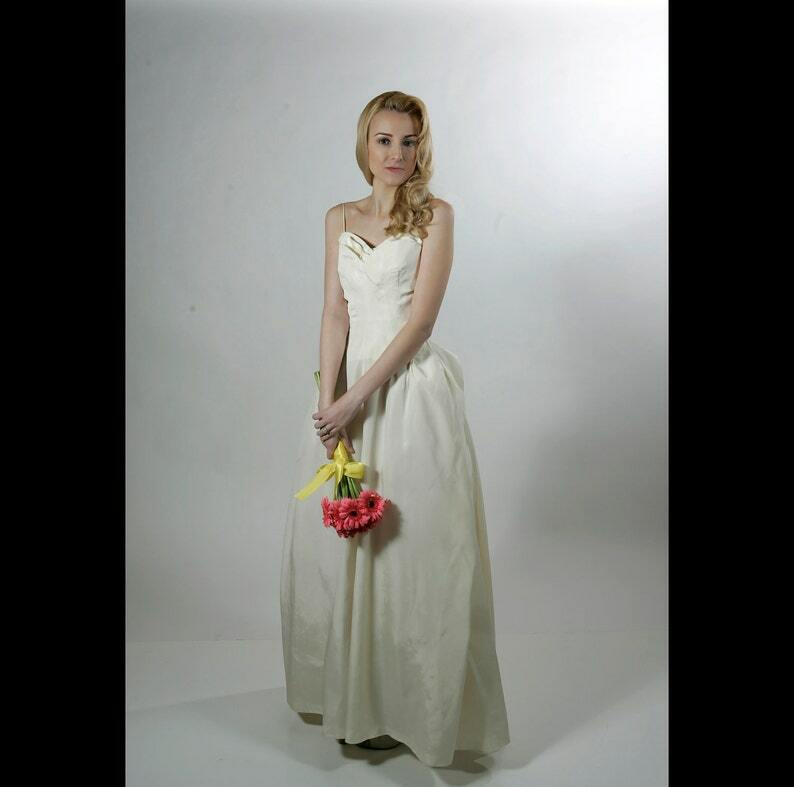 Ivory wedding dress in the New Look style with a shelf bust and a tie back waist. Unique style that gracefully shapes your waist with the fabric that creates the bow, making a pannier at each hip. The neck line is also very different in its two layers, the second one underneath has layers of fabric to create rows of horizontal pleats and the first is smooth. Small spaghetti straps and a metal zipper. This dress is made for a small waist and a large bust, though the bust can be altered. It is showing wear, but has only one area that is an issue, and that is a mended piece on the tie next to the waist. It does not show when worn. This dress is shown without a crinoline, but it might be even more interesting with one underneath.